As it is based in the Q3A engine, Double Helix can't help but be pretty. But, is it more than just eye-candy? The short answer is a resounding "yes!" 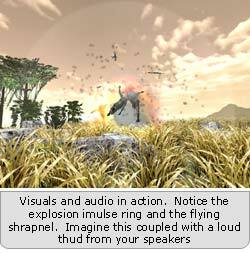 All of the special features native to the Q3A engine are used to enhance the overall gaming experience, not just re-pronounce their existence. In fact, the only issue I noticed was with shadows, and it was minor. When using "true form" shadows versus block shadows, the true form shadows originate in the center of character model and project outwards into mid-air. When using block shadows, the shadows begin and extend on the ground as they are supposed to. I have it on good word, though, that by the time this article goes to press this issue will be resolved. From the realistic look of the character models to the layout of the maps, this game is just awesome. 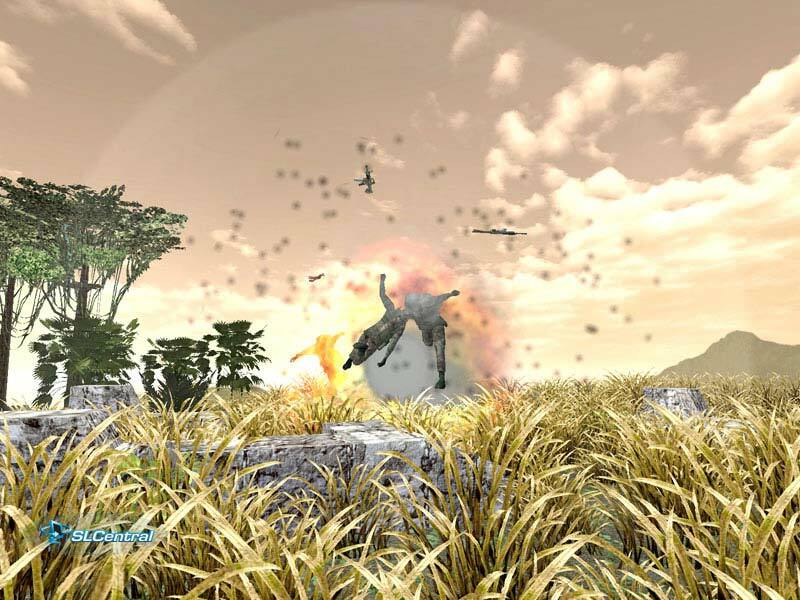 Spent shells fly out of your weapon and collect on the grounds. Rounds shot at walls cause indention and marking like a real round would. This is the good stuff folks. All of the visual pizzazz in the world does little good, though, if the sounds in such a high-end game sound like an Atari is generating them. I am pleased to report that the audio matches the visuals blow-for-blow in their spectacular appeal. Double Helix not only supports EAX, Creative's definitive 3D audio standard, but supports their latest version of it, EAX2. Of course, you can always round down to DirectX audio if you don't have an EAX2 card, but the experience if much enhanced if you do.